Some of these passengers held some of the largest fortunes of the era. The American citizens Colonel John Jacob ASTOR and his wife Madeleine Talmage ASTOR, boarded the Titanic in Cherbourg on the tender Nomadic. 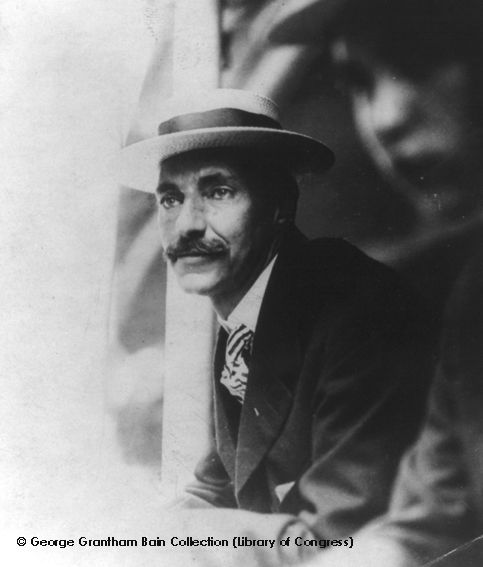 Son of a well-to-do family, John Jacob Astor studied at Harvard then travelled the world before taking over the family business in New York, working in real estate investment. In 1898 he became a colonel in General Levi P. Morton’s Gentlemen in Arms. This billionaire was to marry twice. His second marriage to Madeleine Talmage Force, just 18 years old at the time, divided American public opinion. The couple therefore decided to travel round Europe in the winter of 1911 then return to America on board the Titanic, embarking at Cherbourg on 10th April 1912. They were accompanied by their domestic staff, a nurse to look after Mrs Astor who was pregnant at the time, and their dog. 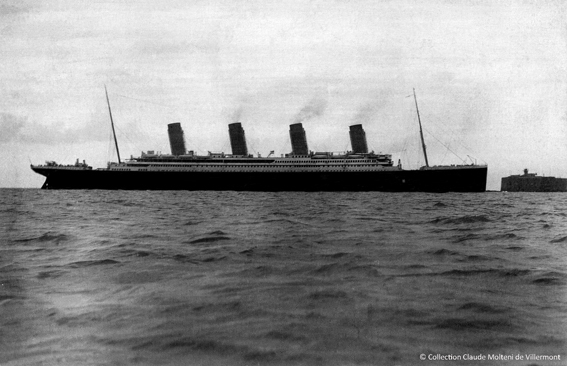 On April 15th 1912, the Colonel took his wife up to deck A to help her board one of the rescue life rafts. He went down with the ship and his body was found on April 22nd 1912. 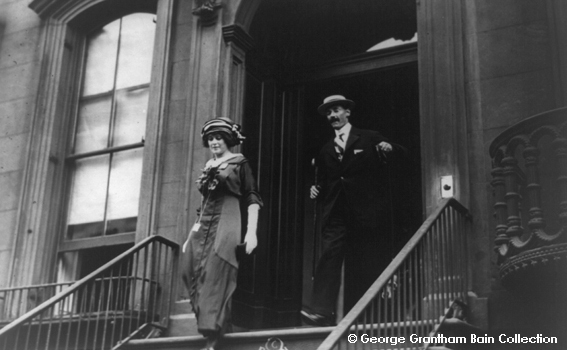 This Scottish baron and financial director, along with his wife, the famous dressmaker Lady Lucy Christiana Duff Gordon, boarded the Titanic in Cherbourg on April 10th 1912 with ticket number 11755. Sir Duff was accommodated in cabin A-16 and his wife in A-20. After Titanic’s hull was hit by the iceberg, the crew organised the ship’s evacuation into life rafts. Supervised by First Officer William McMaster Murdoc, the Gordons boarded life raft no. 1 and left the ship a few minutes later with 12 other people, 7 of which were members of the crew. 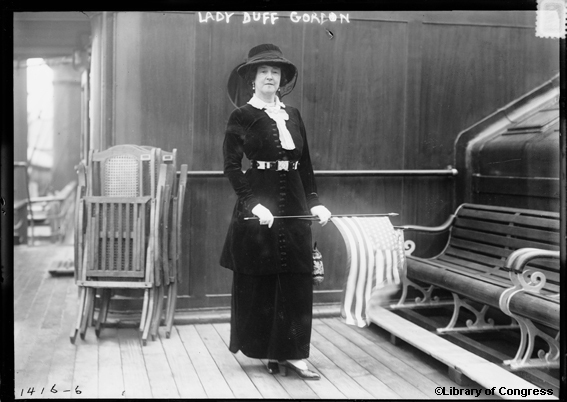 Once the life raft had left the White Star Line ship’s side, one of the passengers, a fireman, wanted to go back and pick up other helpless passengers, but Lady Duff Gordon warned him that bringing extra people on board would risk capsizing the boat. So life raft no. 1 and its 14 survivors then moved further away from the liner, heading towards the light of another boat they had seen. While on the life raft, the fireman and some other Titanic passengers complained about having lost their job, their wages and their belongings. Once aboard Carpathia, the ship that rescued them, Sir Gordon gave them each 5 pounds to return home with. During the British inquest into the sinking of the Titanic, he was summoned to court and accused of paying off sailors in order to save his own life. The LAROCHE family: Joseph, Juliette and their two daughters Louise and Simone were also passengers on the Titanic. They were travelling to Haiti, the father’s native country, where they were to begin a new life. Joseph Laroche had suffered from racial discrimination in France and had never been able to find decently paid job. The family was due to sail on the liner France, but when they discovered the strict rules concerning children (who were not allowed to sit at the same dining tables as their parents), they decided to change their plans and travel on the Titanic. Juliette Laroche was expecting when she boarded the Titanic in Cherbourg. Her baby boy was born on December 17th 1912 but would unfortunately never know his father who disappeared with the wreck. Juliette and her daughters managed to escape on board life raft no. 14…. Born Shawneene Abi-Saab in Libya, Mrs George Joseph Whabee and her husband emigrated to the United States in 1906 in the hope of a better life and with the desire to build a house in Libya. When her husband died in 1908, she and her 5 children moved to Youngstown, Ohio. One of her sons Thomas fell ill in 1910 and, on the advice of her doctor, she took him to the warmer climes of Libya to help his recovery. His health deteriorated in 1911 and Mrs George Joseph Whabee didn’t arrive back in time to say goodbye; she stayed on in Libya to look after some family business, leaving her other children in the States. She decided to return to Ohio via New York and embarked at Cherbourg as a passenger on the Titanic. She paid 4 pounds 4 shillings for her 3rd class ticket and travelled with her 3 cousins and one of her cousin’s nieces, Banoura Ayoub, aged 14. The three men, who did not survive the disaster, were leaving for America in the hope of finding work in the mines, whilst the young girl was due to rejoin her family in Detroit. There were around 65 Libyans on board the Titanic; their cabins were all very close to one another and they had their own communal dining room. According to Mrs George Joseph Whabee, the cabins ‘teewn decks were of a very good quality, better than those she had used on previous trips. When Titanic hit the iceberg, crew members and 1st class passengers (“wearing fine clothes”) came down to ‘tween decks to “get us out and up onto the deck”. This act of bravery by the men in 1st class has remained in the memory of the passenger, who said that they helped her to reach the life raft (probably life raft C).